The City of London Phonograph and Gramophone Society is pleased to present a concert of Scottish Music recorded from original phonograph cylinders. STIRLING CASTLE - Strathspeys. Accordion Solo by Peter Wyper on Edison 2 min. 13981 released in July 1910. All masters, loud, clear and distinct Scottish Music. He subsequently widened his field and along with his brother made discs for Columbia, which spread their renown to the new world and also 2 cylinders for Edison in London, released in 1910, one of which you hear here. AFTON WATER: (words by Robert Burns, tune by Alex Hume) sung by Christine Miller on Edison Blue Amberol 28128 released in January 1913. Scottish songs are second to none in the world for their variety and depth of expression. But just in case you have only come across the jacobite variety with claymores, pibrochs and implications of glorious death, enjoy this, where the poet Robert Burns celebrates the beauties of the River at Afton and enjoins Nature herself to shield and succour the sleeping heroine of the piece who is believed to be a Mary Campbell. Burns presented his patroness, Mrs Stuart of Stair, with a copy of the poem in 1791. The Afton is a small stream in Ayrshire, one of the tributaries of the Nith. Far mark’d with the courses of clear, winding rills! As gathering sweet flowerets, she stems thy clear wave! Flow gently sweet Afton, disturb not her dream! WILLIE’S GANE TAE MELVILLE CASTLE – (Traditional) – Sung by Thomas Kinniburgh on Edison Blue Amberol 23037, released March 1913. Scotland is indeed a land of castles great and small, and many of them ruined. There was once good reason to build them, for, leaving aside the turbulent relations with the English, raiding and being raided by, your neighbours was a fact of life across the centuries. 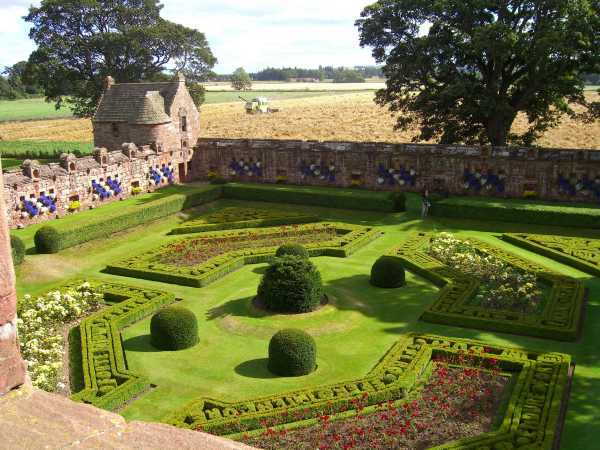 However, castle life was not all rapine and plunder; the splendid renaissance garden at Edzell, Forfar, is evidence of this - and when conditions allowed, courtly life with its lavish hospitality and opportunities for match-making and dalliance, was ever the fruit of leisured existence. The following song, “Willie’s Gane tae Melville Castle” describes what happens when a young heart throb named Willie, calls in to Melville Castle (perhaps the one near Edinburgh) to bid farewell to all his female admirers before he goes away. Competition between them is sharp, but they all agree on one thing; his leaving is sorely felt, and such are their sighs and tears that he turns back and promises to marry them all on his return. The action is fast and saucy in spite of the stately singing of Thomas Kinneburgh. Tae bid the ladies a’ fareweel afore he gaes awa’. What will a’ the lassies dae when Willie gaes awa’? And wi’ a sad and sorry heart she let the tears doon fa’. She thought that she was sure o’ him afore he ga’ed awa’. Well, ben the hoose cam’ Lady Bell, “Guid sakes, ye neednae craw. Maybe the lad will fancy me, and disappoint ye’s a’”. Saying, “Lassies, trust in providence, and ye’ll get husbands a’”. And when he raised his bonnet blue, they set up sic a roar. Saying, “Lassies bide till I come hame, and then I’ll wed ye’s al’”. 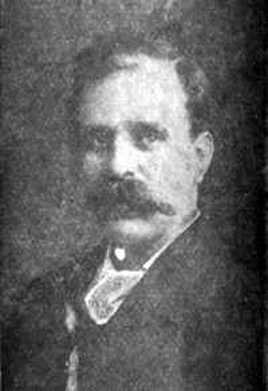 MARCH OF THE CAMERON MEN (Mary Maxwell Campbell) Sung by Thomas Kinneburgh on Edison Blue Amberol 23337, Oct. 1914 – also Edison Wax Amberol 12453, May 1912. Traditionally used for the regimental march past of the Queen’s own Cameron Highlanders, this song reveals something of the nature of the traditional clan system in the Highlands where territories were defined by sea, mountains, valleys and lakes; and these, together with isolation from central government, lent themselves to governance through the Celtic tradition of warrior chiefs responsible for groups based on tribe and kinship. Land was held in trust by the chief for the benefit of clan members. His close kinsmen, called tacksmen, had an important military and social role and were leaseholders of land who sublet farmland to clan members lower down the line. The tacksmen would also function as military officers in time of war. The notion of kinship allowed for a considerable degree of social familiarity between clan members and the concept of the chief being father of his people led to a strong filial loyalty. For a Cameron never can yield. ‘Tis the march o’ the Cameron men. Now trod by the gallant and true. That whatever men dare, they can do. *Pibroch: Theme and variations on the pipes (Gaelic piobaireachd) ! BONNIE LASS O’ BON ACCORD – violin solo by James Scott Skinner and played by him on Edison Wax Amberol 12171 released in May 1910. James Scott Skinner (1843 – 1927) was born in Arbeadie village, Aberdeenshire. His first music lessons were given him by his brother Alexander who taught him to play the violin and the cello. By the time he was eight, he was accompanying the Deeside fiddler and composer, Peter Milne at dances, for which he was paid 5/- a month. Their association was happy and James said of Milne that “he was practically a father to me” his own having died in 1845. In 1855, Dr Mark’s Little Men, a boys’ troupe, visited Aberdeen and Jame’s brother Alexander arranged for an audition. He was accepted for a six year apprenticeship on ‘cello and violin and he was given a good grounding in musicianship and concert work. Dr Mark was based in Manchester, and was a good master. On one occasion, he sent James home when on tour, for fighting, and this resulted in him meeting Charles Rougier, a French violinist with the new Hallé Orchestra. James received lessons from Rougier, including the sight reading of music and in later life, he gave Rougier the credit for his skills as a composer and concert performer. In 1858, James played before Queen Victoria in Buckingham Palace. Shortly before his apprenticeship ended in 1861, he took a course of lessons from William Scott near Aberdeen. This move was so successful and they got on so well that James added the name Scott to Skinner. Thus qualified, in 1862, he began his professional life of teaching dancing and music, giving concerts, playing for dances and parties, and composing and publishing over 600 compositions. 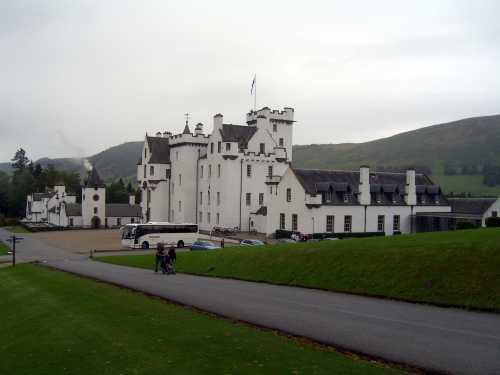 He also worked at Balmoral Castle, teaching dancing to more than 100 tenants and their children. James Scott Skinner is still highly esteemed today and we are fortunate to be able to hear his composition, “The Bonnie Lass o’ Bon Accord” played by himself. (“Bon Accord” refers to Aberdeen). The Bonnie Lass o’ Bon Accord was of all his compositions, the one most famously associated with him. He died in 1927 and in 1931, four years after his death, his many friends and admirers subscribed towards a fine monument at his grave in Allenvale Cemetery. It includes a bronze bust of Skinner, a violin and a few bars of his “Bonnie Lass o’ Bon Accord” and was unveiled by his old friend Sir Harry Lauder. BONNIE DUNDEE & KILLIEKRANKIE James II (VII of Scotland) who had succeeded to the throne in 1685 after the death of his brother Charles II, was a catholic and his autocratic ways disgusted both the Scots and the English. In 1688 his Queen, Mary Beatrice of Modena, bore him a healthy male heir, James Francis Edward Stuart. This brought matters to a head and seven protestant grandees invited James’ son-in-law William of Orange to intervene. William came with an army and James II sent his family to France. He was captured before he could get out, but was allowed to escape and flee the country. In February 1689, a Convention in England offered William of Orange and his wife Mary, James’ daughter, the crown as joint sovereigns. A month later, a Convention parliament in Edinburgh met to decide whether to stay loyal to James or accept William of Orange. The decision was based on letters of policy sent by both candidates. Though loyalty to the Stuarts ran centuries deep, the tone of James’ VII letter of intent and his Catholicism, which involved, paradoxically, imposing religious tolerance, swung the balance in favour of William. On both sides of the border, those who favoured James II (VII) came to be known as Jacobites (after the latin for James). One Scottish nobleman, General John Graham of Claverhouse, Viscount Dundee, refused to abjure his oath of loyalty to James or to recognise the government or its choice of sovereign, so he left Edinburgh in March 1689 to raise an army from the Highland clans. General Hugh Mackay of Scourie marched north from Edinburgh with an army to put down the rebellion. Both Dundee and Mackay recognised the strategic importance of Blair Castle which controls the Killiekrankie pass and Dundee got there first in July . Its owner, John Murray, Marquis of Atholl having declared for the government, took himself off to England (to take the waters at Bath) leaving his second eldest son in charge to help Dundee, thereby hedging the family’s bets. Dundee took up a position on the northerly slope overlooking the pass and waited till Mackay’s troops were too far along the narrow pass to retreat. They drew up to face Dundee’s men who lost 900 from the government side’s first volley. The Highlanders, having shed their heavy plaids and knotted their shirt tails for mobility, then did the famous Highland charge, discharged their muskets 30 yards from the redcoats trying to screw on their new bayonets, overwhelmed and hacked at them with their claymores, axes and dirks which resulted in a complete route and the Highlanders won the day; but not the rebellion. Viscount Dundee was caught by a bullet in his side and he died later at Blair Castle. Without his leadership, the rebellion fizzled out in spite of many new recruits and the next year, 1690, attention turned to Ireland where James backed by Louis XIV of France, landed in Ireland to lead a new campaign. William II defeated him at the Battle of the Boyne, on July 1st. BONNIE DUNDEE (Walter Scott, 1771-1832) sung by Marie Narelle on Edison Blue Amberol 2288 released in May 1914. We have briefly covered the first Jacobite uprising of 1689 –90. In 1715, after the accession of George I , there was an uprising centred on James Francis Edward, recognised by Louis XIV and the Pope as King James VIII of Scotland. He is known as the Old Pretender. In 1745, his son, Charles Edward Stuart, known as the Young Pretender or Bonnie Prince Charlie, landed in July in the outer Hebrides. The French and the English were busy at war and the English army was on the continent. Within 2 months of his arrival he had gained enough support to leave his Highland base, sweep through Scotland beating the government army at Prestonpans, occupy Edinburgh, though not take the castle or a number of other strongholds on the way and head south through England where he hoped to pick up Jacobite sympathisers on the way. By December he had reached Derby, only 130 miles from London with just 5,000 men. The London government, by this time seriously alarmed, began to mobilise its forces and the Jacobite generals headed back north, realising that 5,000 men were not enough for the job. Back in Scotland too, there was little popular support in the lowlands, his governors had been imposed on the towns and cities and the Jacobite governors in Dundee and Perth were attacked by pro-hanoverian mobs on the 30th October, George II’s birthday. Prince Charles Edward withdrew to his Highland base. Sadly for him, he had not seen fit to wait till the French could assist him, so no help came from there either. The 16th April 1746 saw the final showdown on Culloden Moor where the hungry and badly supplied Jacobite army fought the government army under the King’s second son, the Duke of Cumberland. The fighting had lasted less than an hour, when it dawned on Prince Charles Edward that failure was obvious and he was led from the field. The remnants of his army regrouped at the Ruthven Barracks and on the 20th, he sent word to his soldiers, “Let every man seek his own safety in the best way that he can”. That was the end of the Jacobite dream. A vengeful Cumberland ordered nothing less than the destruction of the Highland way of life. The slaughter and destruction that ensued in the battle zone, of the injured, of bystanders, of people and buildings nearby, even a man and his son ploughing a field, and subsequently, with additional troops, a systematic ravaging of the Highlands with a killing, butchering and stealing spree, that must surely be one of the most disgraceful episodes in the British army’s history. Outside the Highlands, there was little sympathy for the defeated. The HUNDRED PIPERS, however, refers to an earlier phase of the rebellion when the Prince still had the upper hand! W’i its yetts, its castle, an’ a’ an’ a’. An’ pibrochs sounding sweet and clear. Will they a’ return, ur Hieland men? And mothers grat when they marched away. Oh wha is foremost o’ a’, o’ a’? Bonnie Charlie, the king o’ us a’, hurra! While the pipers blaw in an unco flare. An’ danced themselves dry to pibroch’s sound. From the hundred pipers an’ a’ an’ a’. The story of Flora MacDonald who helped the fugitive Charles Edward Stuart escape across the sea to Skye by disguising him as her maid, Betty Burke, is generally well known and much over romanticised. The Prince had been on the run some five months, the islands were crawling with redcoats and some of them had been seriously ravaged. Campbell of Mamore had learned that he was being sheltered by the MacDonalds of the Uists and Benbecula. The French were looking to rescue him too, but kept missing him and it was necessary to get him off the islands to safety, both for his safety and the islanders’. Flora’s reaction was one of horror when the plan was put to her, not only for the dangers (she was arrested in the early stages for not having a pass) but also quite likely for a young unmarried woman of the time, because of the impropriety of the scheme. Finally, Charles Edward asked her in person for her help so she relented. Lady Clanranald, Flora and other female friends and family involved set about making a gown for the Prince. There was a lighter moment in all this, since the Prince at 5’10” tall, made an unconvincing woman and could not disguise his long manly gait or in anyway act like a maid. They finally made the sea crossing to Skye , not without alarms, and parted company. The authorities closed in and she was arrested and questioned by Campbell of Mamore who ordered she be treated with respect. She was considered polite, dutiful and co-operative. She undoubtedly spilled a few beans but her calm manner reduced the probable damage and she was allowed to say her farewells to her mother and to take a maid with her before being taken away on HMS Bridgewater to Edinburgh. Commodore Smith, according to Flora, treated her like a father and during his custodianship of her she was allowed visitors in large numbers. A grand old Jacobite, Lady Bruce was foremost among them and gave her and her maid cloth and sewing materials so they could pass the time making clothes. Younger women swooned at the romance of her story, not least of how the Prince had shielded her with his arms from being trodden on by the sailors during the crossing. Once in London, it was the same story again and she became a much admired celebrity. Her modest, refined behaviour ensured her house arrest rather than prison, and she was even able to pay visits, including to a Lady Primrose, a London Jacobite who made a collection for her and raised the huge sum of £1500. She met Frederick, Prince of Wales who asked her sternly why she had helped his father’s enemies? He was very impressed with her reply; “that she would do the same for him had she found him in distress”. She was never brought to trial and was released in the general amnesty of July 1747. There’s nought left but sorrow for Scotland and me. reflect the sorry campaign of retribution against the Highland clans. Chiefs’ powers were reduced to that of simple landowners, the wearing of Highland dress was outlawed, weapons were forbidden, and the bagpipes were deemed to be weapons of war, cottages were burned, people killed or deported, cattle driven off and sold, crops taken and survivors reduced to starvation. THE LAMENT OF FLORA MACDONALD (Words by James Hogg, music by Neil Gow Junior) Sung by Archie Anderson on Edison Wax Amberol 12485, released in Sept 1912. The dew on her plaid an’ the tear in her e’e. The crown of thy father’s is torn from thy brow. The CAMPBELLS. The chiefs of the Argyll Campbells were for many centuries the most powerful and influential magnates of Scotland with their power base in the Western Highlands. 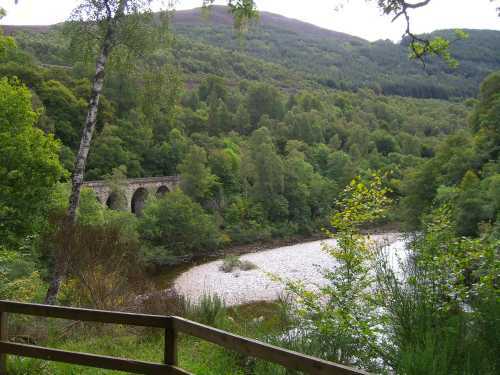 Starting with the alliance of Sir Neil Campbell of Lochawe with Robert the Bruce from 1296 which brought early royal favour and dynastic connections through Sir Neil’s marriage with Bruce’s sister, they went on to assist the crown of Scotland against the power of the MacDonald Lords of the Isles and with their downfall. As the centuries passed, so vast tracts of land came under their power, legitimately or otherwise. They had Inverary, a seaport that traded directly with the Continent and one of the largest towns in the Highlands, so they had great wealth. They espoused Protestantism, unlike most of their fellow Highlanders and with the exception of the 8th Earl who fell foul of Charles II in 1661 and the 9th Earl who supported the Duke of Monmouth against James VII, they were usually on the right side of contemporary politics and grew evermore powerful at the expense of their neighbours. The 10th Earl was made Duke of Argyll in 1701. The Massacre of Glencoe. Following the 1688 rebellion, the clans who rose up in the name of the ousted James VII, were required to sign an oath of allegiance to William III and Queen Mary by January 1692. The former king, at the request of his Highland subjects, released the clans of their oath to him only 3 weeks before the deadline. The MacIains of Glencoe (a cadet branch of the MacDonalds) received this news with only two days left in the year. In brief, he reached Inverary and his oath was received and accepted by the Sheriff of Argyll, but 6 days late. This ancient tune is the war march of the Campbell Clan and it later became the March Past of the 1st Battalion of the Argyll and Sutherland Highlanders. Pipe Major Henry Forsyth was in the Scots Guards and had been Pipe Major from 1899 when he retired and became Pipe Major to George, Duke of York, the future King George V.
He continued in this position as piper to the sovereign when George succeeded his father Edward VII in 1910. When George V died in 1936, Forsyth continued as royal piper under Edward VIII and George VI until 1941. Although this is an instrumental piece, it seems appropriate to add the words of the song. The Campbells are comin’, Oho! Oho! The Campbells are comin’Oho! Oho! The Campbells are comin’ Oho! Oho! *Mary Stuart was imprisoned at Lochleven Castle in1567. “Great Argyle, a Campbell, of course, and the 5th Earl, rescued her from there. YOU CAN’T MAKE MUSIC WITH THAT (Frank Leo) sung by Daisy Taylor on Edison Blue Amberol 23255, released in June 1914. The bagpipes are not to everyone’s tastes, and, given the Highland-Lowland divide, not even in Scotland! I leave the description of this record to the Edison copywriter in 1914.
it may be gathered that his progress was not very rapid or considered very satisfactory by his hearers. Even Daisy Taylor does not think very much of his proficiency. Daisy Taylor was a Scottish music hall star who by 1913, had taken London by storm. Her adaptability to changing fashions in music led to her being dubbed “the Scottish Ella Retford and indeed, she was still going in 1926 and was on tour in South Africa a year later, starting with the Tivoli at Capetown. THE PIPERS sung by Wullie F. Frame on Edison Bell 6194 , recorded in May 1904. Another Scottish comedian, and with a somewhat manic take on the theme of bagpipes and neighbours. Wullie F. Frame, “the man you know”, was born in Castle Bank, Partick in 1848, the year of the Glasgow riots. He started off working in the family grocery business and first appears in the record in 1867 in the Old Scotia Theatre, Stockwell St., Glasgow. He became conductor of his local Presbyterian Church Choir in 1870 which he continued to do for some 10 years, during which time he also became a paper salesman. In 1889 he came to London and performed in the top music halls to great acclaim paving the way for the likes of Lauder, Kenyon etc. He was considered to be the Scotch Dan Leno in certain quarters. In 1898, he went on a six month tour to the USA and Canada, and although 65 years old when the Great War broke out in 1914, he joined the Seymour Hicks Concert Party and went to the front to entertain the troops in December of that fateful year. He died in 1919, aged 71. 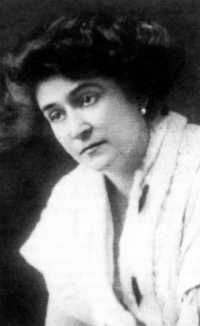 BARBARA ALLEN. sung by Frank Luther and his Pards (Partners) on Edison Blue Amberol 5596 released on October 1928. This may seem a strange piece for a concert of Scottish music, but we must consider the consequences of emigration, one of the bitter-sweet fruits of the failure of the Jacobite cause, among others. There are almost certainly more Scots abroad in the New World than there are in the home country, and a quick search on the internet reveals massive expatriate enthusiasm for Scottish culture and traditions. Since the 17th century, Scots have been seeking a better life, or for other reasons have had to leave home. The border peoples of northern England and southern Scotland as well as northern Ireland have settled in large concentrations in the Appalachian mountains of America, taking with them their language, customs and songs. The passage of time has given these things a local twist, but pioneer musicologists at the beginning of the 20th century were astonished to find a wealth of traditional North British ballads still being performed in those mountains which had been handed down in unbroken transmission since their forebears came from over the sea in the 18th century or earlier. Of “Barbara Allen”, there are many versions now, this one from the Appalachians and the polite parlour song too, and claims of ownership from both sides of the border, but Samuel Pepys mentions it in his diary of 1665 or 1666 as “the little Scotch song ‘Barbary Allen’”. “Young man I think you’re dyin’”. Be kind to Barbara Allen. “That I may gaze upon him”. for I feel like I am dying”. The rosebush and the brier. COMING THRO’ THE RYE Medley, played by the Famous Kiltie Band of the 48th Highlanders on Edison 2 minute cylinder 12879 released for January 1904. This record is a further demonstration of the way the Scottish nation has taken root abroad. In Toronto (Canada) in 1891, the 48th Highlanders infantry regiment was formed. It continues to serve as an active reserve regiment to this day, having been fully involved in all the horrors and delights of the intervening 20th century. It has a drum and fife band and a military band. The military band was set up in 1892, shortly after the formation of the regiment, and it has since become one of the principal bands of Canada. Edison released 4 cylinder records by the band on the British market as early as January 1904, which speaks for the band’s renown in its early years. This record is a medley of tunes which start of with a waltz version of the well known ballad, “Comin’ Thro’ the Rye”, whose words are given below in one of several versions! Yet a’ the lads they smile at me, when comin’ thro’the rye. Gin a body greet a body, need a body froon? But what’s his name; and what’s his hame, I dinna care to tell. The purpose of including this and the following record is to point out the cultural reach achieved by Scotland. Rob Roy MacGregor was a very real person born in 1671, the son of a minor clan chieftain. He received the standard 17th century education for a man of his rank which included, besides literacy, swordsmanship. He became a cattle drover , driving and protecting the cattle of those who paid him, and in keeping with the standards of the time, reiving or rustling cattle from those for whom he did not work or who did not pay him enough blackmail, (a gaelic word meaning protection money). 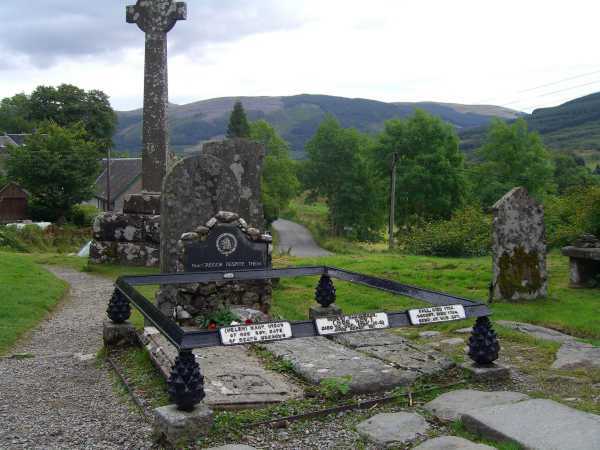 After a tumultuous life, living and shifting through two Jacobite rebellions and dodging the enmity of great noblemen (enjoying friendships too of others, like Argyll,) he died peacefully at home in Balquhidder on New Years Day 1735. His story was immortalised by Sir Walter Scott in his novel of the same name. Reginald De Koven of Chicago had had a great success with his opera reworking the legend of Robin Hood and he was looking for a subject which would be a worthy follow-up. So in true Broadway style, he took the story of Rob Roy Macgregor and threw in Bonnie Prince Charlie, Flora Macdonald and the adventures and romances of the 1745 rebellion which Rob Roy missed by a decade and turned them all into a musical comedy and had a considerable success on his hands with 253 performances on Broadway during the 1894-5 season and so on round the country. In spite of some fine songs, the piece did not cross the Atlantic and Britain made do with its own 1818 opera of Rob Roy MacGregor by Davy and Pocock, highly successful and much repeated, while the French enjoyed their own version in 1837 at the Opéra Comique with a score by Von Flotow. Following a skirmish between the MacGregors and the Colquhouns on Loch Lomondside, the Chief of Colquhoun sent some of his clan’s women to plead their case before King James VI with the bloody shirts of their slaughtered men. The King was appalled and granted Colquhoun letters of “Fire & Sword” against the MacGregors. These responded by ravaging the Colquhouns and driving off their cattle, encouraged by the 7th Earl of Argyll, Chief of the Campbells. The King responded by banning the very use of the name MacGregor and granting Campbell of Argyll among others the power to bring the Macgregors to justice. Their homes were burned and they were driven off their lands. When Chief Alistair MacGregor surrendered to Argyll on the understanding they would be exiled in England, Argyll tricked them, by marching them over the border, then back to Edinburgh where Chief Macgregor and over 30 of his close family were beheaded. The undefended Macgregor lands came under Campbell control, never to be returned. LUCIA DI LAMMERMOOR - Ardon gl’incensi – (Donizetti) sung by Selma Kurz on Edison Wax Amberol 35009 released for November 1910 and as a Blue Amberol 28162 in April 1913. This is a further example of the cosmopolitan influence of Scotland, this time on the continent of Europe. Donizetti drew on Scotland for his operas at least twice; “Mary Stuart” being one splendidly tuneful example, and “Lucia di Lammermoor” being another. The first is from well-known history and the second is from a novel by Sir Walter Scott called “The Bride of Lammermoor”. In spite of being a novel, it is based on real events that unfolded in the Dalrymple family (Viscounts Stair) in 1669. The Stairs were a family sympathetic to the Covenanters, but their daughter Janet became secretly engaged to the royalist 3rd Lord Rutherford. When her parents came up with a match of their choice, she was compelled to admit her engagement and her tyrannical mother forced her to withdraw her vow. On her wedding night with her parents’ choice, she grievously wounded her bridegroom in a fit of insanity from which she never recovered, and died two weeks later. Scott’s heroine is called Lucy Ashton and the events are moved forward to the early 1700s against a threat of a French backed Jacobite invasion. The hero, Edgar Ravenswood inherits his father’s hatred of Sir William Ashton. The Ravenswoods have lost their title as a result of the Glorious Revolution of 1688 and have subsequently seen their lands go to Sir William Ashton as a result of legal machinations. Edgar saves Lucy’s life and both fall deeply for each other. Changing circumstances cause Sir William to make his peace with Edgar and he approves the match with Lucy. The tyrannical mother intervenes and forces her to marry Bucklaw. Lucy in despair, stabs and seriously wounds her groom on the wedding night, is found fitting and dies shortly afterwards, still insane. Edgar dies in a quicksand while on his way to fight Bucklaw. The opera has the same characters and a similar plot. On the wedding night, Lucy goes mad and kills her bride groom. The horror of the deed restores her reason and she stabs herself. Edgar learns what has happened and he falls on his sword. In this aria, Lucy has become delirious because of the events leading up to her wedding night and she kills her new husband. Her mind has blacked out all that has occurred and she now imagines all her woes to be over and that she is about to marry Edgar. 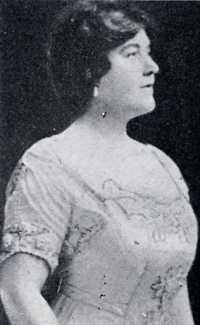 The excitable singing is considered perfectly to convey her brittle and deluded state of mind.Selma Kurz, who sings this record, was involved in the Donizetti revival at Montecarlo in the 1906 –07 season and her main pieces were Don Pasquale and Lucia. JUST A WEE DEOCH AN DORIS (Morrison & Cunliffe) sung by Harry Lauder on Edison Wax Amberol 12469 released in August 1912 and later as Blue Amberol July 1913. What better suggestion for the end of a pleasant evening than a “deoch an doris” or stirrup cup to see us on our way. This song is one of the few sung by Harry Lauder that he did not write himself, but it is very much in keeping with his style. Harry Lauder was born in Portobello near Edinburgh in 1870. He was the eldest of eight, and when he was twelve, on his father’s death, the family moved to Arbroath. While working in a mill, and later in Lanarkshire, in a mine, he started to sing, winning many competitions and ending up first in a concert party and then in a touring company. He began a solo career as an Irish comedian in 1898 and later moved to London in 1900. Most of us are familiar with his Scottish character songs to this day. He took America by storm in 1907. During the Great War, he lost his only son John in 1916 and thereafter he threw himself into recruiting, fundraising and entertaining Scottish troops at the front line with an adapted piano. In 1917, he launched the Harry Lauder Million Pound Fund for the war injured ( and recorded a speech for this on HMV and Zonophone discs. He was knighted for his war work and became something of a national institution between the wars. He died in 1950. ANNIE LAURIE (Douglas and Scott) –sung by Christine Miller on Edison Wax Amberol 28020 released for July 1912 and later as Blue Amberol 28116, September 1913. This beautiful song was originally written by Annie Laurie’s sweetheart, William Douglas, and it was amended for less private enjoyment by Lady John Scott (1810 – 1900) who altered the second verse and composed the third. There are any number of versions of this song on early recordings, but Christine Miller, an American concert contralto from the 1910s and 1920s gives the most sympathetic performance. She toured tirelessly all over the States during the late teens doing the famous tone test concerts organised by Edison whereby the singer (or instrumentalist) would perform and be compared directly with the recording on stage. If press reports were to be believed, the freshly pressed Edison discs played on the company’s top of the range phonographs were hard to distinguish from the real voice. THE LAND O’ THE LEAL (Lady Carolina Nairne) sung by William Davidson on Edison Wax Amberol 12487 issued for September 1912. Leal is a Scots version of the word loyal, which in the context of this song means the faithful, therefore, the Land o’ the Leal means, Paradise. After so much drama and passion in the music up till now, this deeply solemn yet hopeful song by a dying husband to his wife, urging her to stay faithful and righteous so that they may one day meet up and be happy (fain) together again paradise, has considerable charm. The song is more often set for a wife urging her husband (John), but William Davidson’s voice is to manly for that version! Lady Carolina Nairne (1766-1845) is perhaps better known for her stirring Jacobite songs. I’ the land o’the leal. YE BANKS AND BRAES O’ BONNIE DOON (Words by Robert Burns) Clarinet Solo by Charles Draper of the Queens Hall Orchestra. Edison Bell 10060 c. March 1907. ‘Comin’ Through the Rye’ and ‘Ye Banks and Braes’ were and still are very well known tunes. They offered perfect material for musicians to show off their theme and variation skills and record makers have been offering records such as these ever since the first talking machines could reproduce sound. Charles Draper was one of the leading British clarinettists of the early 20th century and played with the Léner Quartet in the 1920s and also the Spencer Dyke Quartet to great acclaim. His first recordings were made in about 1897, probably for Edisonia, a branch of Edison Bell. The words of ‘Ye Banks and Braes o’ Bonnie Doon’ by Robert Burns are given for good measure. This is but one of a number of versions! And I sae weary an’ fu’ o’ care! That wantons through the flowering thorn! But, ah! he left the thorn wi’me. This splendid evocation by Robert Burns of a supposed address to his army by the Scottish King before the battle of Bannockburn in 1314, did not sit well with the London government, many of its members still very much mindful of the 1745 Jacobite rebellion. Burns proposed the old air “Hey Tuttie Taitie”, traditionally considered in parts of Scotland to be Robert Bruce’s march at Bannockburn. The inspiration for this song is evident in a memorandum made by Burns on visiting the battlefield in 1787. “The field of Bannockburn: the hole in the stone where glorious Bruce set his standard. Here no Scot can pass uninterested. I fancy to myself that I see my gallant, heroic countrymen, coming o’er the hill and down upon the plunderers of their country – the murderers of their fathers: noble revenge and just hate glowing in every vein, striding more and more eagerly as they approach the oppressive, insulting, blood-thirsty foe! I see them meet in gloriously-triumphant congratulation on the victorious field, exulting in their heroic royal leader, and rescued liberty and independence’’. SCOTCH REEL – Two Old Time Fiddlers – John Baltzell and Samuel G. Shults. Edison Blue Amberol 5521, released in July 1928. One more convincing example of North British culture taking root and flourishing in the New World. AULD LANG SYNE – Words by Robert Burns from antique sources- sung by Marie Narelle on Edison Wax Amberol 525, released in October 1910. Auld Lang Syne is known and sung all over the English speaking world, particularly for the passing of the year celebrations, but for many other farewell occasions, and its melody has spread widely across the world and has been applied to many different songs.